The team at our dental office in Silverdale is pretty sure that the last thing on your mind when you’re enjoying food at a Labor Day picnic is your oral health. However, we can’t help ourselves when it comes to protecting our patients’ smiles. 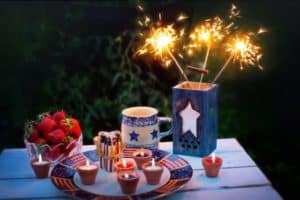 So in preparation for this year’s Labor Day celebration we’d like to provide a list of some of the best summer treats for your smile as well as some of the worst. Soda – This is one treat that your dentist in Silverdale will always put on the bad list. Soda is packed with sugar and greatly increases the risk for cavities. Our Silverdale dental office team hopes you and your loved ones have a fun, safe, and delicious Labor Day!